'Moonbeam' is a real standout. 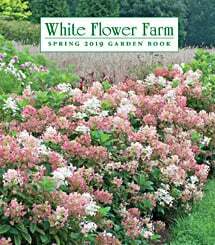 Its pale yellow flowers are borne in great abundance above delicate, needlelike foliage and seem to blend well with practically every color we've tried. Flowers heavily from June through August, with repeat bloom till frost. 'Moonbeam' is one of those rare plants that can't be used badly. It makes a superb front-of-the-border plant but can also provide summer color in the rock garden or light up a foundation planting that is in danger of provoking yawns among passers-by. Superb with the blue racemes of Adenophora. It's one of the great perennials. A genus of Daisy-like plants, Coreopsis is excellent for the border. Most species are native to the southeastern United States and Mexico. They are not the least fussy about soil but require full sun. Cut stems back after the first flush of flowers fade to promote a repeat bloom. For more information on the growing and care of Coreopsis, click Growing Guide. I planted the bare root plant immediately after receiving the shipment, but it never grew. When I asked for a refund, I only received a partial refund because the promotional code had been applied in part on each plant, not on the order total. Very disappointing experience for an overpriced bare root. "Moonbeam" coreopsis with its pale yellow blooms holds up well to summer heat and drought, blooming steadily from late June to October. Place her in front of the border to soften the edge. I love the combination of "Moonbeam" with daylily "Happy Returns" and hardy geranium "Rozanne." I received and planted bulbs in the fall. Unfortunately they did not make it through the winter. Fortunately the coreopsis "Star Cluster" I planted are thriving! I have used these as borders in 2 beds in my backyard and they are glorious; one will be for three years, the other this will be the second year, and I am ordering more for my front yard. They are happy flowers, and bloom all summer, even in the Washington DC heat. I followed WFF's recommendations for care and they have done well. Highly recommend! Full and pretty once it fills in. They are delicate and hardy and spread nicely. Merry daisies in shades of yellow and pink have made Coreopsis mainstays of the summer border. Newer colors include white with burgundy and salmon. Masses of flowers are produced for long periods, especially if plants are consistently deadheaded. These drought-tolerant perennials offer up cheerful blooms excellent for cutting and are of easy culture. There are varieties suitable for the front, middle, and back of the border, and as native Americans, they are right at home in wildflower gardens and meadows. Light/Watering: Full sun brings out the best in Coreopsis, especially in well-drained soils. Water during drought, but Coreopsis is quite drought-tolerant once established. Fertilizer/Soil and pH: Coreopsis is not fussy about soil, and will bloom exuberantly under a variety of conditions. Well-drained soils are best, especially in winter. Coreopsis rosea prefers an evenly moist soil (in which it may run a bit wild), although it is not a requirement. Fertilize lightly once in spring with a balanced granular formula; too much fertilizer will result in spindly growth. Pests/Diseases: Healthy, vigorous plants under good culture are rarely bothered by insects; wash off light infestations of aphids with a forceful water spray. Diseases are also rare, especially in well-drained soils. If soils are too wet, the crowns may rot. Companions: Butterfly delphinium (Delphinium grandiflorum) or other short Delphiniums are natural complements to yellow Coreopsis. Alliums, Daylilies, and Coneflowers are also lovely in combination with these bright daisies. Reflowering: Daily deadheading, while onerous, will reward the gardener with almost continuous bloom. To achieve an attractive plant and possible rebloom in autumn, shear plants back by a few inches as flowering slows down in late July. Dividing/Transplanting: Divide plants every three years in spring or early fall to maintain vigor. Please note that Coreopsis 'Moonbeam' will arrive as a tangle of roots and stems that defies attempts to distinguish top from bottom. Simply dig a wide, shallow hole and set the spidery thing inside horizontally, covering with an inch of soil. Gravity will prevail, and the plant will send roots down and shoots up. End-of-Season Care: Do not prune back all the way for the winter, as stems left standing will protect the crowns. 'Moonbeam' will benefit from a mulch of salt hay or evergreen boughs. Early Spring: Apply a light application of granular 10-10-10 fertilizer or side-dress with compost and organic amendments when new growth appears. Water newly planted Coreopsis regularly if spring rains are sporadic. Divide or transplant now if desired. Summer: Deadhead daily for prolonged bloom. Shear plants back by ¼ to ½ to encourage more attractive form and possible reblooming in autumn. Fall: Plants may be divided or transplanted now if needed. Do not prune all the way back—leave stems at 6–8″ to protect crowns through winter. Mulch 'Moonbeam' with salt hay or evergreen boughs.